China Energine International (Holdings), Ltd.
China Asia-Pacific Mobile Telecommunications Satellite Co., Ltd.
 “关于我们 [About Us],” China Academy of Launch Vehicle Technology, www.calt.com. “China Academy of Launch Vehicle Technology - CALT,” Jane’s Information Group, 19 July 2011; Mark Stokes with Dean Cheng, “China’s Evolving Space Capabilities: Implications for U.S. Interests,” Project 2049 Institute, 26 April 2012, p. 17. 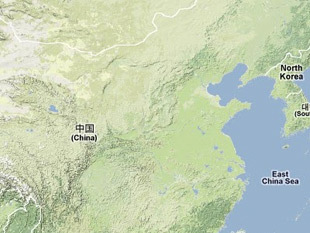 “China Transfers Rocket to Launch Centre,” BBC Monitoring Asia Pacific, 10 May 2012; “Shenzhou-9 Launch ‘Successful’ - China Official,” BBC Monitoring Asia Pacific, 16 June 2012. Mark A. Stokes, “China's Strategic Modernization: Implications for US National Security,” Project 2049 Institute, September 1999, p. 87. Howard Olrik DeVore, “China’s Aerospace and Defence Industry,” Jane’s Information Group, December 2000, p. 406. “组织结构 [Organizational Structure],” China Academy of Launch Vehicle Technology, www.calt.com.